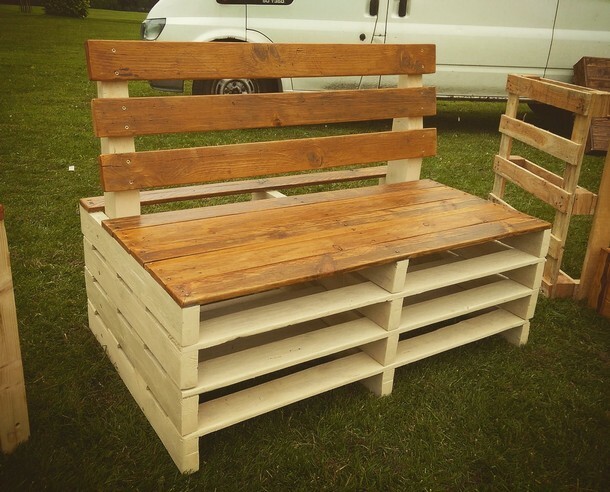 Being a wood pallet crafter, whenever I see some wooden furniture items I always give them a critical look and figure out that if I was to make this one, what exactly I would have done, which part of the article I would have amended and which one deducted. So I urge all the wood pallet crafters to start seeing the things this way to further enhance tour recycling skills and do as much with your own hands as much you can. As the pallet isn’t at all an expensive item to fear from experimenting. Be critical also about these upcycled pallet wood plans. 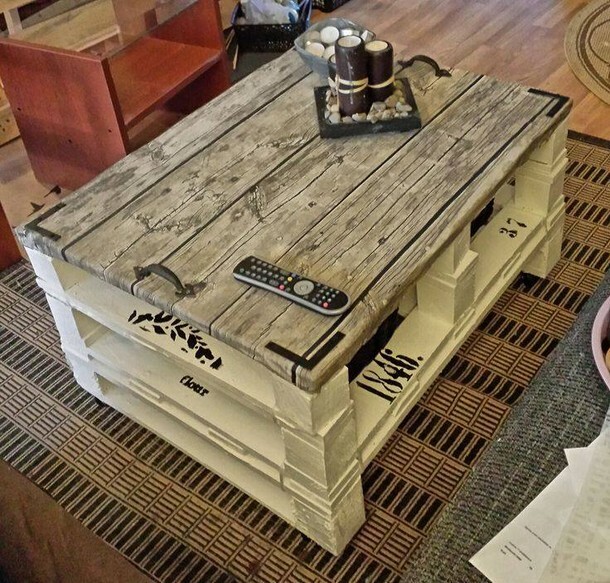 Your opinion might be different but this was the best design for me to recycle with the wood pallet for this coffee table. The wooden top is actually reclaimed that is the part of an old wooden item, while the rest of structure is done using the wooden pallet planks. 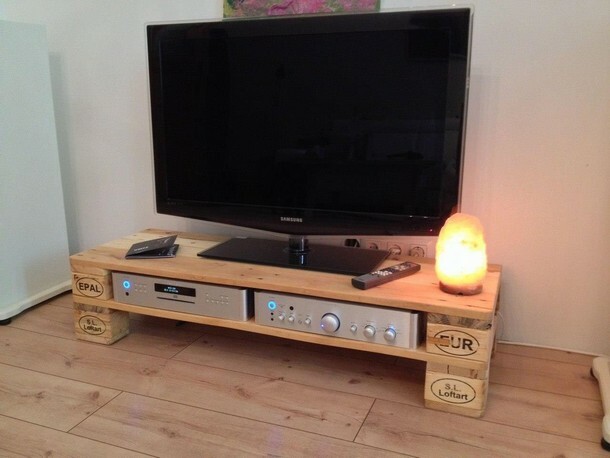 Ok, a wooden TV stand just couldn’t get better and simpler than this one. All I wanted was one single whole shipping pallet in the freshest possible condition, with just some little modifications and finishing I turned it to be an ideal wooden pallet TV stand. The idea behind this outdoor pallet wooden bench was the room dressing table. You can have a glimpse of the same design in the said item, but the top and back of the bench is just made accordingly making it a perfect remedy for outdoor sitting needs. 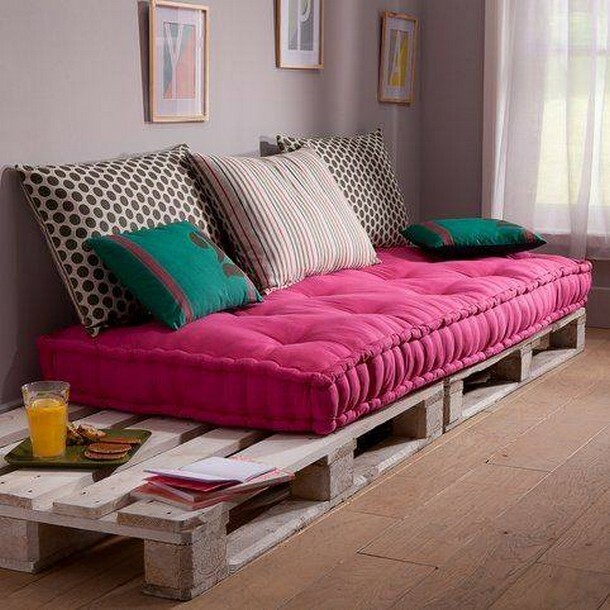 And this grand ultra luxurious pallet wood repurposed low couch is again the creation of wood pallet. We wanted nothing else as the supportive material, the base was kept pretty low to the ground but we covered it with the best possible mattress and cushions to make it and ultra luxurious sitting plan. Want to do something extra ordinary for your pet dog? No big deal at all. 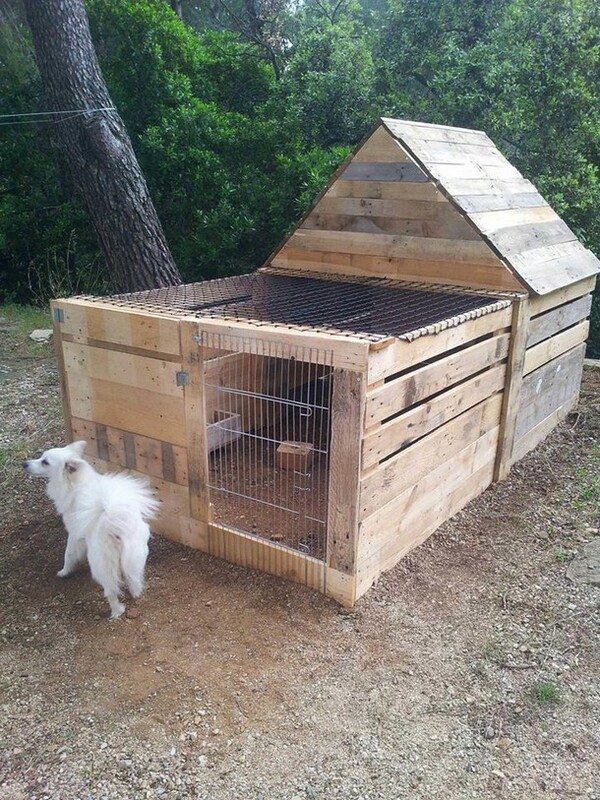 There just can’t be a better thing than providing your pet dog with a proper house. Now you must be thinking about the finances, as the human is a greedy animal. Don’t worry about that, wood pallet would take care of all of this. 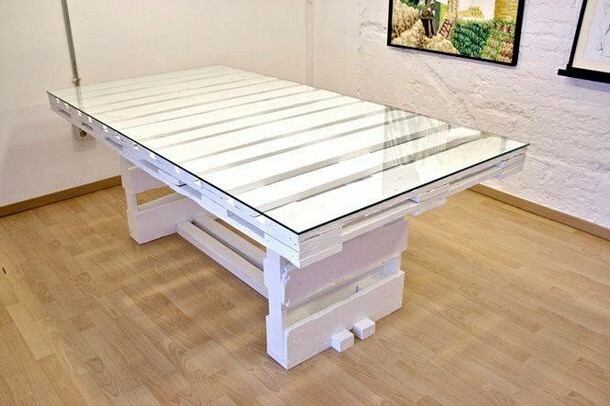 This pallet wood large table reminds me of the furniture items that I saw in a bar downtown. The owner has spent a chunk of his capital on the furnishing of his place especially on wooden furniture items. 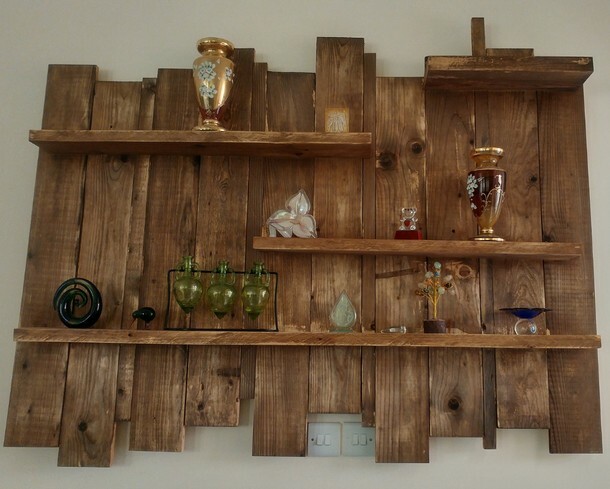 But the wood pallet has brought us all this elegance just free of cost. 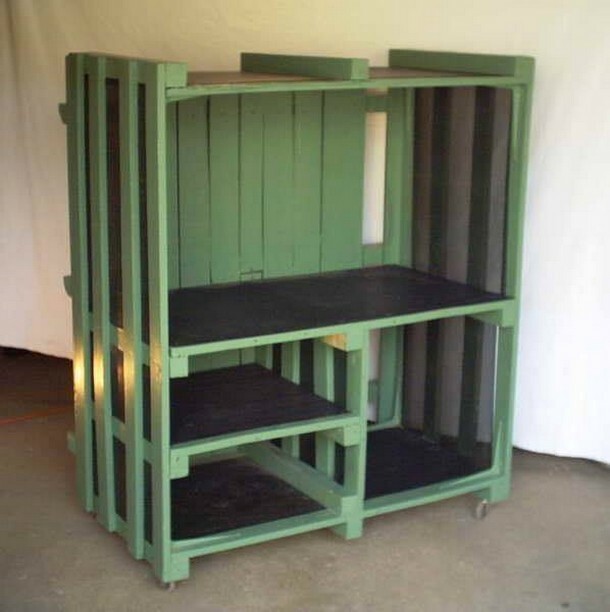 Though this doorless wooden pallet recycled wardrobe could be a matter of concern if you have pets in your house or you are just planning to place it in somewhere open. But if we talk about the rest of the design and shape, that is quite commendable. And this wooden pallet chest takes me back to the good era of renaissance, they are associated with that era especially. 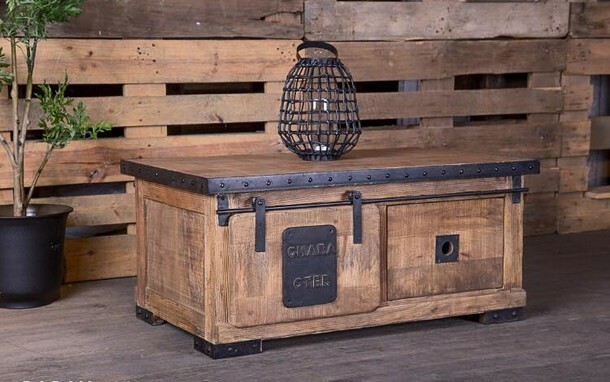 This industrial pallet wood chest can be used as a vintage storage hack and also as an artistic side table if your tastes are really that higher and polished as an aesthetics lover.